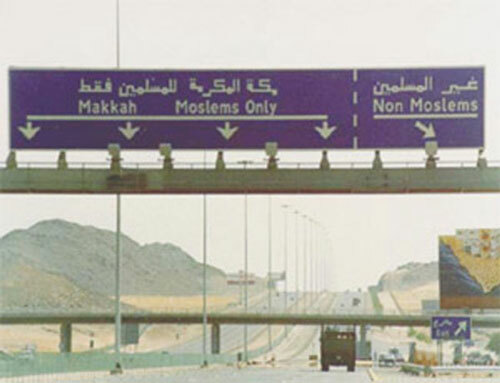 A road sign informing all kaffir (non-Muslims) that they are forbidden to enter Mecca (and Medina). current 07:47, 12 December 2006 500 × 383 (30 KB) Selfworm (talk | contribs) A road sign informing all kaffir (non-Muslims) that they are forbidden to enter Mecca (and Medina). This page was last edited on 12 December 2006, at 07:47.